We are grateful for the efforts of the host church who provided a spectacle of hospitality and abundant life. Not a day went by when I did not stop to reflect and meditate on the artistic beauty of our God. Lake Tahoe was simply magnificent. As we concluded our Council with a Covenant Renewal Worship on Wednesday night, the thought that came to mind again and again was, “What a joy to be included in the proclamation of this glorious Gospel of reconciliation.” The spirit of unity was seen and demonstrated as brothers ate and drank together at the lamb’s high feast. I can say that it was a tremendous honor to represent the Athanasius Presbytery as one of the fourteen delegates to the CREC General Council. I was intimidated, while at the same time grateful to be a part of such an illustrious group of men, many of whom have shaped and continue to shape my thinking and have affected my ecclesiology in profoundly positive ways. I wish to express my thanks and admiration to our former Presiding Minister, Jack Phelps, who served our Communion of Churches for these past six years with grace and humility. My deepest respect and prayers for the newly elected Presiding Minister of the CREC, Rev. 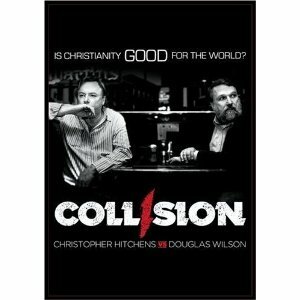 Douglas Wilson. May God richly bless his labors as he guides the CREC into this new phase of its history. Thanks be to God. Pastor Randy Booth addressed guests and the men of Providence Church and Christ Church this past Saturday. The talk centered on how to raise men who are aware of the cultural crisis, but yet are able to de-mythologize the entertainment industry. Click below for audio lecture. Christopher said somewhere that extraordinary claims require extraordinary proof. This is quite true, but Christopher misses the point of it. He thinks the resurrection is the extraordinary claim, when actually it is the extraordinary proof. You should not listen to a man who claims to be God (the extraordinary claim) unless He does something like come back from the dead. The resurrection is God’s declaration that Jesus is the Son of God (Rom. 1:4), and when we preach the resurrection, as we are charged to do, we are preaching the proof, not something that needs to be proven. God adds to the proof by anointing all such faithful preaching with His power, testifying to the testimony. It is the power of the Spirit that will convert the world by this means.